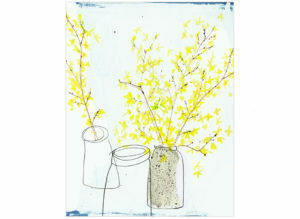 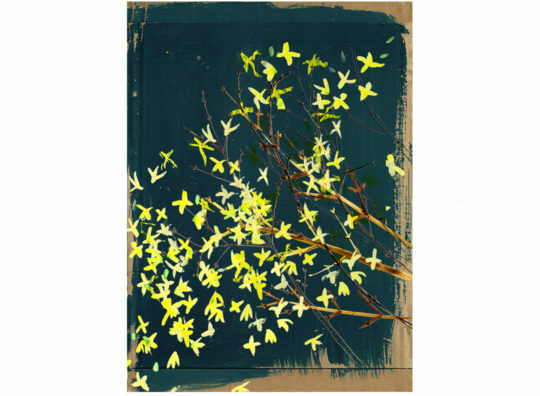 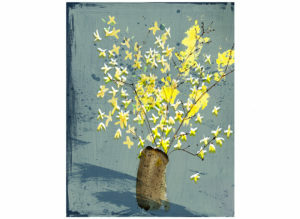 A high quality fine art print showing vibrant yellow twigs of Forsythia bursting across a dark blue background. 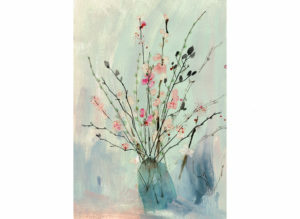 Print of an original illustration drawn from life, using watercolour, pastel and ink with a background in Farrow and Ball’s Hague Blue emulsion on cardboard. 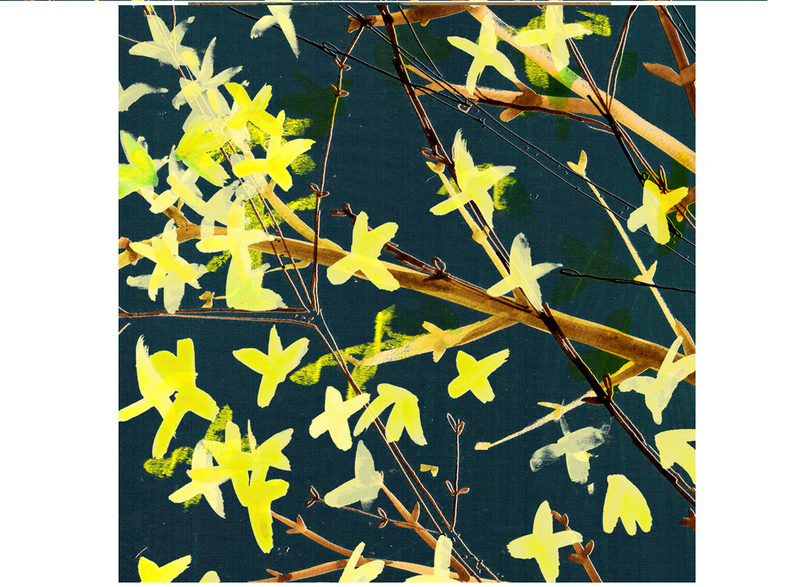 Handdrawn elements digitally cobbled together. SKU: forsythia on dark blue Category: Fine Art Prints Tags: flora, Giclée Print Want to go back and CONTINUE SHOPPING?